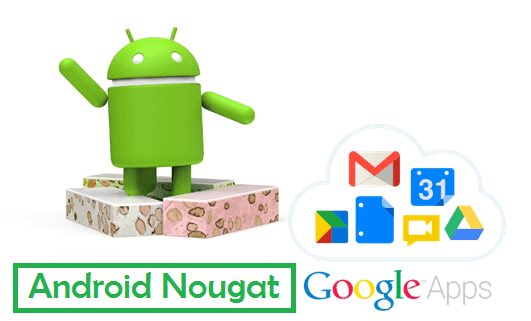 How to Download and Install Android Nougat GAPPS 7.x.x : Here is direct download link of Android Nougat Gapps 7.0 / 7.1. Purpose of installing GAPPS is whenever you flash any new rom on your device, Google apps are not included in Custom Rom so gapps will fulfill this need. 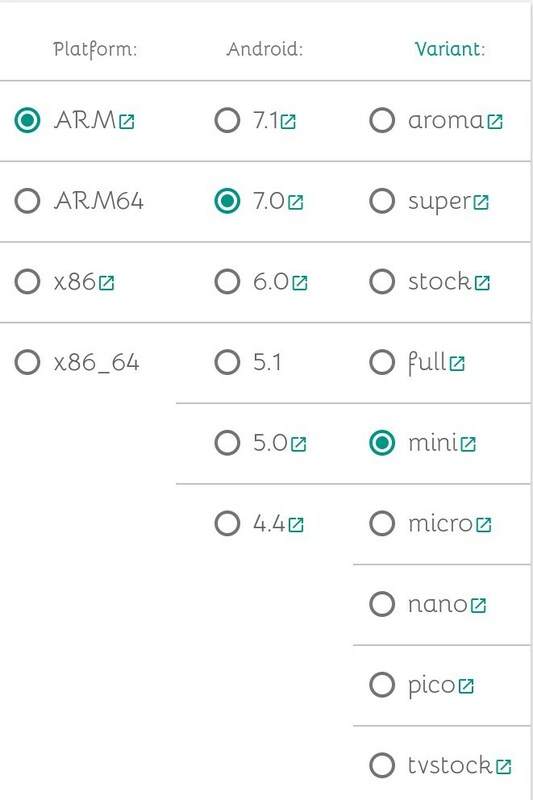 We are providing a full list of gapps 7.0 for all devices which include ARM, ARM64, X86, X56_64 from smallest gapps for nougat to biggest gapps for android nougat in size. 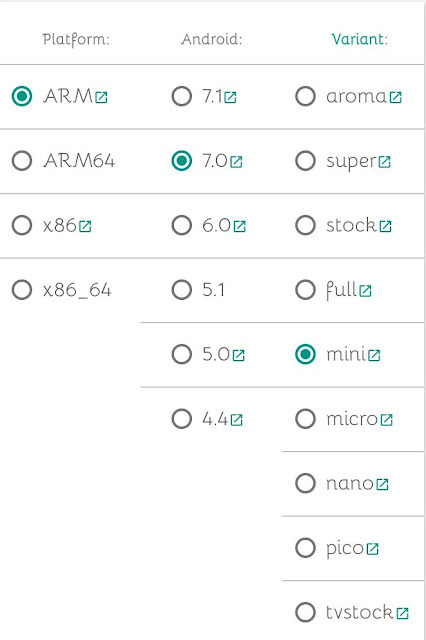 The pico version of Gapps for Nougat 7.0 is the smallest gapps in size which comes with minimum Google applications. These include Google system base, Google Play Store, Google Calendar Sync only, Google Play Services. This version of GApps is intended for the users who don’t like all other Google applications and want the basic ones only. Intended for legacy devices having small partitions. This package included applications like Google system base, off-line speech files, Google Play Store, Google Exchange Services, Face Unlock, Google Calender,Gmail, Google Text-to-speech, Google Now Launcher, Google Search and Google Play Services. For the users who use limited Google applications. This package includes almost all basic Google applications including core Google system base, off-line speech files,Google Play Store, Google Exchange Services,FaceUnlock, Google+, Google Calendar, Google Now Launcher, Google Play services, Google (Search), Google Text-to-Speech, Gmail, Hangouts, Maps, Street View on Google Maps & YouTube. The Aroma package is a special version of the regular ‘Super’ package, but with a graphical front-end that will allow you to select which specific applications to install (or not) without having to write a Gapps-config file manually. Note: For versions of 5.0 and lower the Aroma package is based on Stock and not all options shown are available within the package. AROMA has some known issue, which varies by device and recovery version. Now reboot your device into recovery mode. Now select Install Zip from SD card option. Flash the gapps file in you android phone.